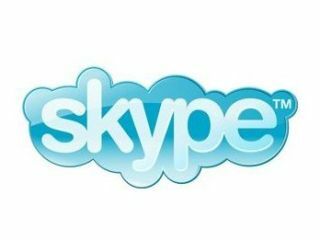 Skype has launched a free iOS app that gives iPhone, iPad and iPod Touch users access to Wi-Fi hotspots around the world using Skype Credits. It's a pay-as-you-go system, with users' Skype Credits depleting for every minute they spend on the Wi-Fi access, with UK users looking at around 4p per minute of internet time, although pricing will vary based on which ISP is providing the hotspot. You'll need to be running iOS 4.1 or above to ensure you have multitasking capabilities to make use of the Skype Wi-Fi app. The other handy thing to note is that you'll be able to go online anywhere in the world for a relatively low price – in the US Wi-Fi starts at 6 cents a minute, while across Europe you're looking at €0.05 per sixty seconds. It's not quite the free Wi-Fi that Skype gave UK users access to back in November last year, when Brits could go online with the public network to celebrate Internet Week Europe. Still, for the sake of a few pence, it's got to be better than slogging away at your emails over a dodgy 3G connection or shelling out for data roaming while you're abroad. You can download the Skype Wi-Fi app from the App Store now. Did we name Skype one of our seven mobile apps that changed the world? Find out which apps made the grade in our video roundup below.